After the Florida Highway Patrol completed its Traffic Homicide Investigation, it was no wonder at all why Overstreet lost control of the truck and boat on the freeway. FHP concluded that the combined weight of the trailer and boat exceeded the maximum towing capacity of the trailer hitch installed on the FWCC truck by over 4,400 lbs. Specifically, the combined weight of the boat and trailer totaled 10,420, while the maximum towing capacity for the trailer hitch was 6,000 lbs. What’s more, the maximum towing capacity for the FWCC vehicle itself was only 8,000 lbs. 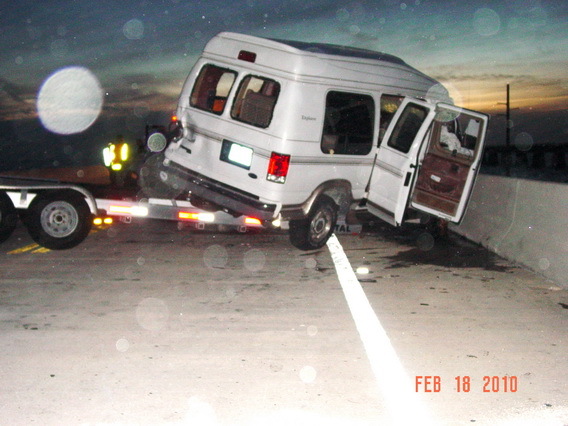 Florida Highway Patrol concluded that Overstreet’s negligent operation of the FWCC truck caused this collision which saw the death of two innocent people and the catastrophic injuries to Ruth. Thomas Scolaro, Ruth’s attorney, fought vehemently on behalf of his physically and emotionally broken client. Ruth obtained a result seldom achieved against FWCC, that is a settlement amount above the available insurance coverage (Florida law has adopted a statutory cap for damages in cases involving FWCC’s negligence). The seven mile bridge has been the scene of thousands of car accidents and hundreds of fatalities, since it opened in 1982 -The first seven mile bridge was built in 1912.- The head on collision Ruth and her late friend endured was avoidable, like most traffic crashes. But because there are not any guardrails separating northbound and southbound traffic, any driver is at the mercy of the negligence of another. Whether a vehicle passes a slower vehicle, a drunk driver veers in and out of his traffic lane, or someone loses control from texting and driving, there is nothing that an innocent victim can do to avoid the collision. The seven mile bridge has two traveling lanes, and no room on either side of the traveling lanes to escape danger. 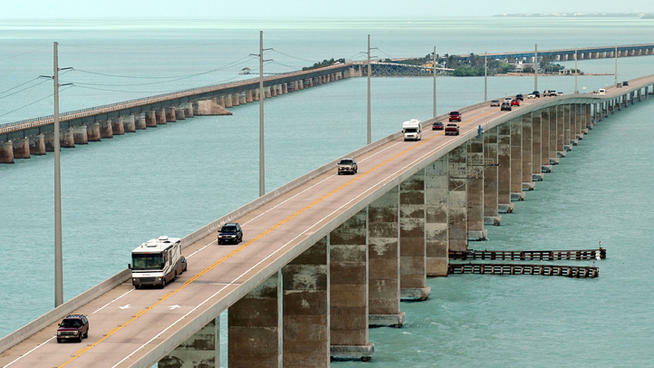 That is why the seven mile bridge in Marathon remains one of the most dangerous bridge in the entire country. Less than a month ago, another fatal accident occurred on the bridge, involving two vehicles, one of which caught fire in the collision.